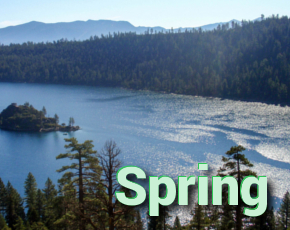 15 Budget Friendly Spring Vacation Destinations - Top Ten Travel Blog | Our experiences traveling throughout the US. Spring is one of the best times to take a vacation. Unlike the peak summer season, planning a getaway during the less hectic spring season typically brings forth many great benefits, namely hotel and transportation savings, attractive cooler weather, along with fewer crowds. Plus, many summer and winter hotspots often offer their best deals during the spring months. Listed below are a few budget friendly vacation ideas. 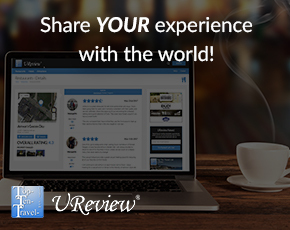 All of these beautiful areas listed below offer affordable lodging, plenty of free activities, and endless outdoor recreational opportunities. Enjoy the list and feel free to add a few suggestions of your own in the comments below. Idaho’s Capitol city, Boise, is a great little vacation destination, often overlooked in favor of more popular Western mountain towns. It’s one of the most affordable Western towns, both for residents and visitors alike. In addition to super cheap hotel rates (spring rates can easily be found in the $60-70 range), Boise offers you the opportunity to enjoy a wide range of recreational activities year round. In addition to the numerous activities you will find around town (a beautiful paved riverfront recreational path, museums, hiking trails, and various parks), Boise is conveniently located within a day’s drive to many exciting places including Yellowstone, Shoshone Falls, Mesa Falls, Sun Valley, Craters of the Moon National Park, and much more! 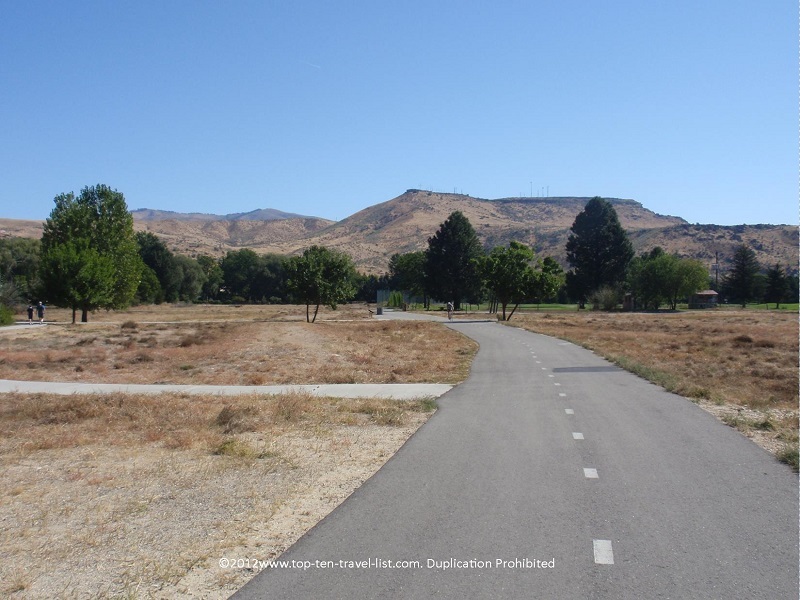 *The Boise Greenbelt – Boise’s amazing paved path along the river earns its’ place amongst the best bike trails in the country. This 25 mile trail follows a beautiful tree lined course around the river. The path is peaceful with gorgeous changing scenery throughout the year (the fall season is particularly beautiful). Biking is the best way to explore the path, although you will notice joggers and walkers also enjoying the beautiful spring weather. Because the path is flat and extremely scenic, you can keep going on without tiring at all. Great city attractions like the Boise Zoo, the Anne Frank Memorial, and Julia Davis Park can easily be accessed via the path (just park your bike and take a quick break!). 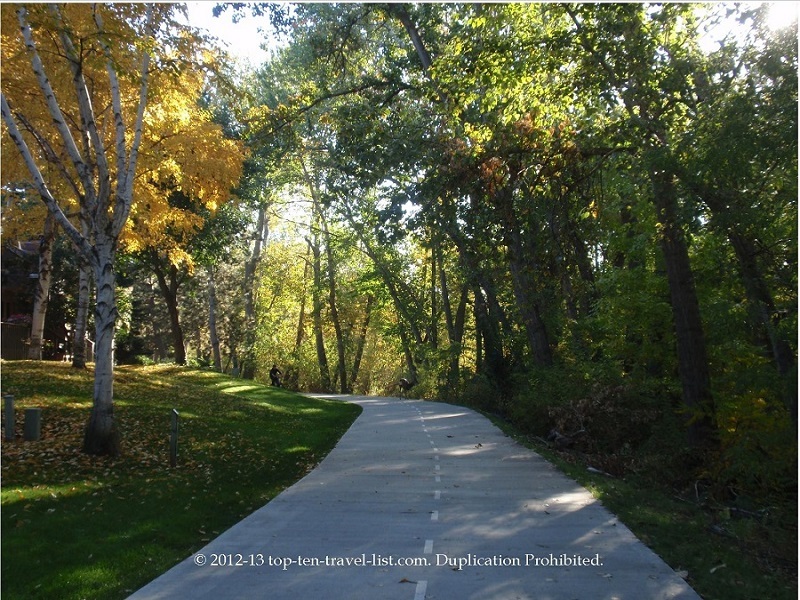 The beautiful Boise Greenbelt place: a place to get in some exercise and enjoy nature at the same time! *Hiking in the Boise Foothills – It would be hard to visit Idaho and sit in your hotel all day. The scenery is too beautiful and the spring weather is just perfect for exploring the natural landscapes surrounding the city. 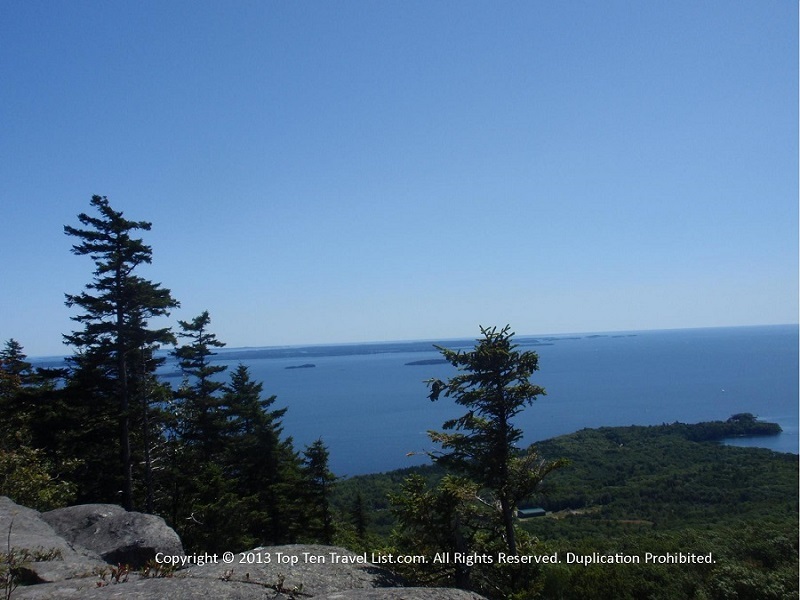 You will find a variety of trails for all different ability levels, all with great views. In Boise, you will find 130+ miles of hiking, mountain biking, and equestrian trails. Visit the Ridge to Rivers website for a map of all trails. *Zoo Boise-Boise’s zoo is not the biggest or best, however, it is clean, very walkable, and well-maintained, not to mention affordable (admission is just $10 and $7 on Thursdays). 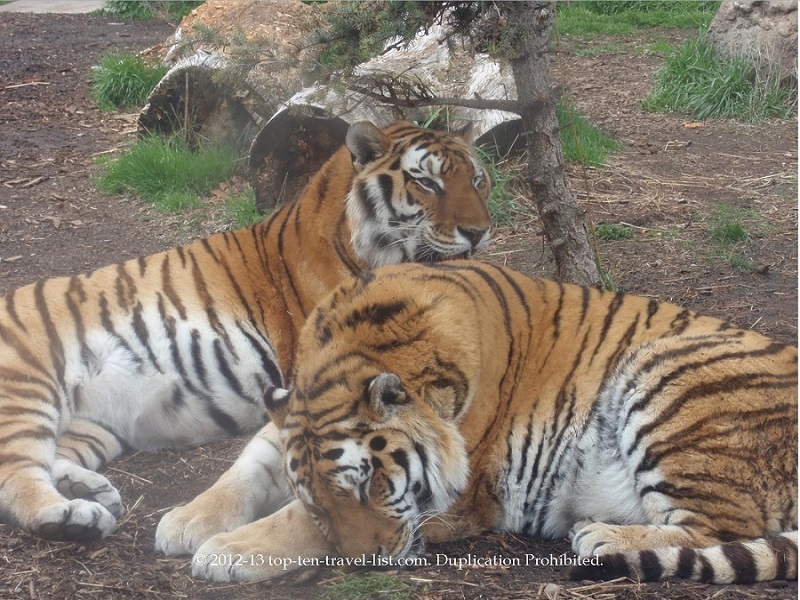 The zoo is a great way to spend a few hours getting in a little fresh air, without filling up your entire itinerary or wearing you down. Overall, it’s just a great small zoo. *Seeing a play at Knock Em’ Dead Dinner Theater-It’s not a Broadway affair, however, a trip to Boise’s unique dinner theater makes for an affordable night out. Other budget friendly activities include a visit to the beautiful Boise Botanical Gardens ($7 per person), strolling around the shops and restaurants downtown, visiting the State Capitol Building, a quick stroll around the Boise Art Museum ($6 per person), and spending the day at any of the beautiful parks found throughout town. Easy day trips include a visit to beautiful Shoshone Falls “The Niagara of the West” ($3 per car), hiking and scenic drives at Craters of the Moon ($8 per car), and enjoying all sorts of recreation in Sun Valley (a 2.5 hour drive from Boise).